I had fresh strawberries when I was making waffles this weekend for a breakfast for dinner, my husband's choice. I love fruit on waffles and to mix it up a little bit I sent my berries through the food processor my mother-in-law gave me. The texture of the strawberries reminds me of salsa, and you can puree it more or less. 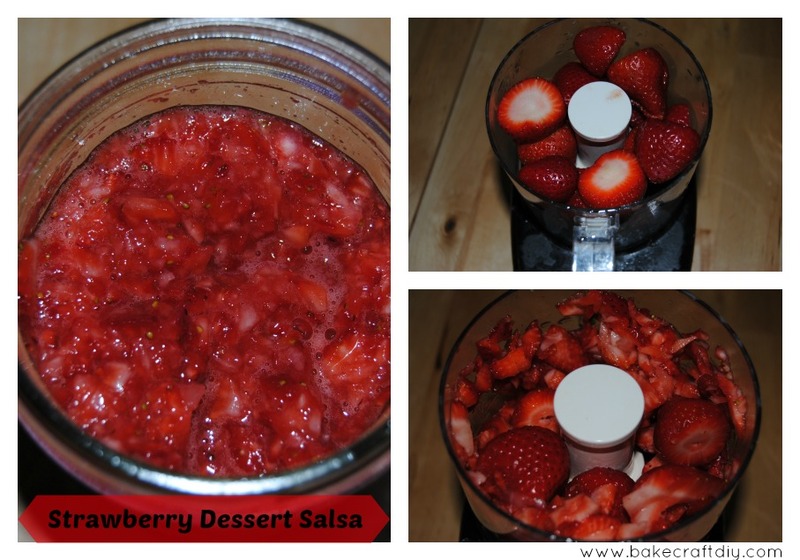 Place strawberries in food processor. Process strawberries until they are large chunks. Add sugar, and process until desired consistency. The recipe is super easy and you can adjust the sugar content more or less depending on how sweet you want your topping. As I said before we put ours on waffles but you can also use it to cover some whipped cream cheese as a graham cracker dip or use it on your strawberry shortcakes with a little bit of whipped cream.